The arrests took place in Sokoto in northern Nigeria. Shia Muslims all over the world mark Ashura every year with peaceful events mourning Husayn’s martyrdom. In recent years, as part of a campaign to destroy the IMN, Nigerian authorities have tried to disrupt and prevent such events from taking place, often with the use of violence. Along with his wife, IMN leader Sheikh Ibrahim El-Zakzaky is being held without charge following their arrest during a 2015 massacre of IMN supporters in which over 1000 were killed by the armed forces. Since the massacre Nigerian authorities have launched attacks on IMN demonstrations, demolished and confiscated IMN properties, arrested its supporters and enacted repressive legislative designed to weaken the group. The attacks become more pronounced around the time of Ashura when IMN members and supporters come out in large numbers to mourn the death of Husayn. 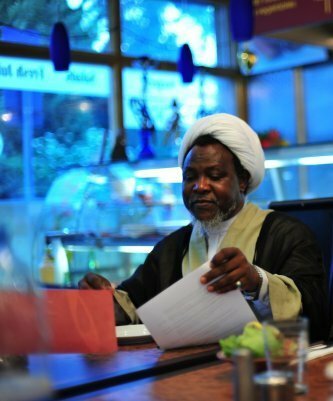 IHRC condemns the latest actions as a blatant affront to fundamental rights to freedom of worship and assembly and calls on the Nigerian authorities to cease its persecution of the IMN.